Housing utilities in a concrete vault ensures their safety and protection for years to come. Sensitive electrical components and other utilities are securely located in a precast concrete transformer pad. Concrete stands up to the harshest elements, offering superior security. Using precast concrete for your utility vault offers many advantages. 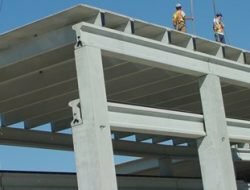 Precast concrete vaults are produced in a controlled environment with high strength concrete so you can reduce the thickness of the walls and area of steel. Utility vaults are a perfect solution for underground utility projects. They can be used to retrofit old utilities and install new ones. For years, utility vaults have been used in industries such as water, gas, telecommunications, electrical and fiber-optics. Because precast concrete vaults are produced in a controlled environment, weather conditions are irrelevant and will not delay your construction project. When you use precast concrete, you don't have to wait for excavation, curing and installation of Sparks precast electrical accessory items. Precast concrete gets the job done more quickly and efficiently. When designing a utility vault, there are many other constraints to consider before it is assembled for use. What live loads, such as vehicles and pedestrians will be involved? What dead loads will have an impact including walkways such as the vault roof, roadbed, earth fill and static load around the vault? What will the handling loads be? Have the water tables in the area been reviewed and flotation considered? Is the soil at the utility vault site dry, saturated or filled with corrosive chemicals? What watertight requirements are necessary such as joints and penetrations? The concrete used in precast utility vaults is dense so often sealants are not required. If conditions are harsh, protective coatings might be necessary to ensure your precast transformer pad is watertight. The joints will need gaskets or concrete sealants to repel water and keep contents safe. You also have flexibility when you use precast concrete utility vaults. With modular sectional and panel precast utility vaults, you can create a structure of almost any size and shape. 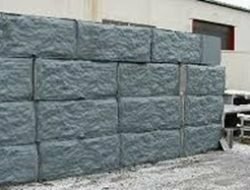 See if your precast concrete manufacturer already makes the exact design you need so specialized construction isn't necessary. With all the variables to consider, how can you ensure you have the proper utility vault design? precast concrete plants demonstrate their commitment to producing top quality products though the NPCA Plant Certification Program. This voluntary certification program provides the Quality Control Manual for precast concrete plants. 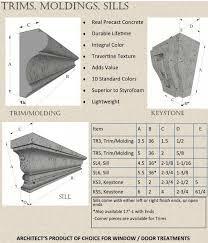 The program includes all aspects of precast operation required to produce the highest quality precast concrete products.